How often does my home air conditioner need to be re-gassed? Surprisingly you should never need to have your split system or ducted air conditioner re-gassed. When your system is installed and all the industry required tests are completed the chance of your air conditioner leaking gas is very minimal. If your system is nitrogen pressure tested and the pipes are evacuated to below 500 microns it should never leak for the life of the system. Some common causes of gas leaks are as follows. A faulty system from the manufacturer. Corrosion of the coils due to lack of maintenance or servicing. The system being moved, bumped or relocated. Often people are surprised that to regas a system without finding the leak is actually illegal. To add gas or regas an air conditioner the leak must first be found so that it can be repaired prior to the gas being added. A qualified refrigeration mechanic can carry out a test to identify the leak and then complete the repairs. Once the air conditioner gas leak is fixed it can then be nitrogen pressure tested to ensure the leak is fixed, followed by evacuation of the pipes to remove all contaminants and moisture. Only once these steps of complete can new gas be added to your system. Why has my home air conditioner leaked gas? From years of experience in the industry, we have come to find that most air conditioner leaks are due to poor installation practices. It’s really important that all the steps are taken during the air conditioner installation to ensure that the system is installed and tested to industry standard which will ensure the system lasts. Nitrogen pressure testing and the evacuation of the refrigeration pipes are key to ensuring there is no tiny gas leak that could take up to a few years after the installation to leak out and cause your system to fail. If the system is installed to these standards you can expect your home air conditioner to last anywhere from 15-25 years, depending on the brand. Air conditioning systems have different types and quality of refrigerant gas depending on the brand, age, type, and size. Air conditioner regas is different for all situations, the first step is to find the leak and then an estimate can be provided for the repairs. Each air conditioner gas type, such as R22, R410a, R32, have a different cost per kilogram. For example, R22 gas is now being superseded so the price of the gas is very expensive, and therefore this affects the cost of the repairs. Static Electrics can send an experienced and qualified refrigeration technician to carry out a complete check of your air conditioner, identify any gas leaks, carry out any repairs and regas the system to all safety and industry standards. The system isn’t cooling or heating. The gas pipes at the outdoor unit are freezing up. The system is automatically switching off. The system is showing an error code. The system is making unusual sounds. If you live on the Sunshine Coast and need an expert air conditioning company to check, diagnose, and regas your home air conditioner system contact us. We have qualified refrigeration mechanics on the Sunshine Coast ready to help you get your system repaired and running again, fast. We can regas all types of air conditioning systems including, split systems, ducted air conditioners, multi-head air conditioners, and cassette systems from all the leading brands. Static Electrics can take care of your home air conditioner regas if you live in Brisbane. 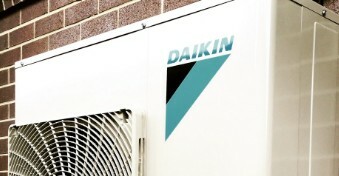 With an office based in Brisbane and refrigeration mechanics ready to help you, look no further than our air con team. We have qualified competent technicians with vast experience in air conditioner re-gassing. Over the years we have re-gassed hundreds of air conditioners across the Brisbane region. For prompt, professional home air conditioning regas services throughout the Sunshine Coast and Brisbane contact our team on 1300 139 039 or complete our air con regas request form today.